SIM card removal tools have been included in iPhone boxes throughout the years, but can vary based on country and network provider. If you need to know how to open the iPhone SIM card slot, the iPhone's SIM card ejector tool is the easiest way to do so. However, it's by no means the only way, as there are a number of different items capable of opening the tray. The first place to start is determining whether or not you have a SIM card tool to eject the tray from the side of the iPhone. The tool, if included in your country and network specific iPhone, will be included in the packaging of the box. iPhones in the U.S. include documentation, such as legal notices and getting started guides. The SIM ejector tool has recently been hiding among those papers. It's a small metal tool attached to a white piece of paper, making it easy to accidentally throw out. If you can’t find the tool or bought an iPhone secondhand, don’t fret. 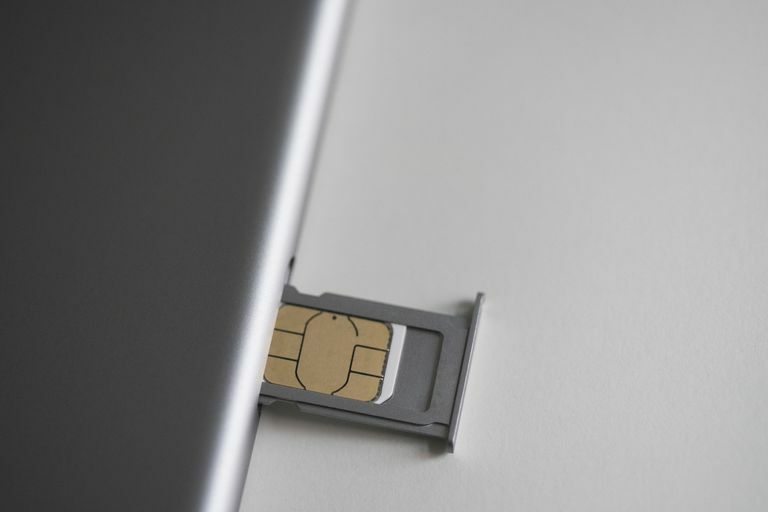 There are a few different ways to get the SIM tray out to add or replace a SIM card. Many cellphone carrier stores have extra SIM card ejector tools if you'd prefer to stay with a proven and guaranteed method of extraction. Just remember to watch your thumb when pushing into the hole, as most of these objects are sharp and could pierce the skin if not careful. Paperclip: Most small and average size paper clips will work simply by bending one side. If you don’t have a SIM removal tool, a paper clip works very well. Safety pin: Similar to paper clips, not all sizes of safety pins will work. Try to find the smallest possible to fit inside the hole. Earring: A earring will work in a pinch to take the backing off and insert the post into the SIM tray hole. Just be careful about bending soft materials like gold. Staple: A standard staple can come through in a pinch, but it’s probably one of the hardest to use because of how thin and flexible a staple can be. A thicker, more industrial staple may be better if you have access to a staple gun or other tool. Mechanical Pencil: To use a mechanical pencil, give the lead a few click to extend it out further than you'd use to write. Poke the lead in and give it a firm push. This will likely be one of the most difficult items to use because of how brittle the lead can be, but also a common item to find around the house or in a backpack. Toothpick: Most toothpicks will be a little too wide for an iPhone’s SIM hole. That doesn’t mean you can whittle away some of the wood and make it fit. Just remember to break off the tip you’re pressing down on so it doesn’t poke. Fishing Hook: Fishing hooks come in various shapes and sizes, so if you’re off on a boat and need an emergency SIM swap, try one of these. A paperclip is one of the easiest and most common objects to use when you don't have an ejector tool. Start with a small to medium size paperclip. Unfold one straight side so it's sticking out. Take that side of the paperclip and stick it into the SIM card ejector hole as far as it will go. Once the paper clip is in the hole, use your thumb to press firmly until the tray protrudes out. It should slide out slowly rather than "pop" out. Nearly all iPhones, starting with the original iPhone in 2007, have had their SIM tray located on the right-hand side of the phone. The SIM tray is a narrow oval with a tiny circle beneath it; the tray slot sits flush with the side of the phone and will be covered by any phone case. The iPhone XS Max was the first iPhone to switch the direction the SIM card rested on the SIM tray. Be aware that instead of sitting in the tray facing you, the SIM card will sit on the backside of the tray.